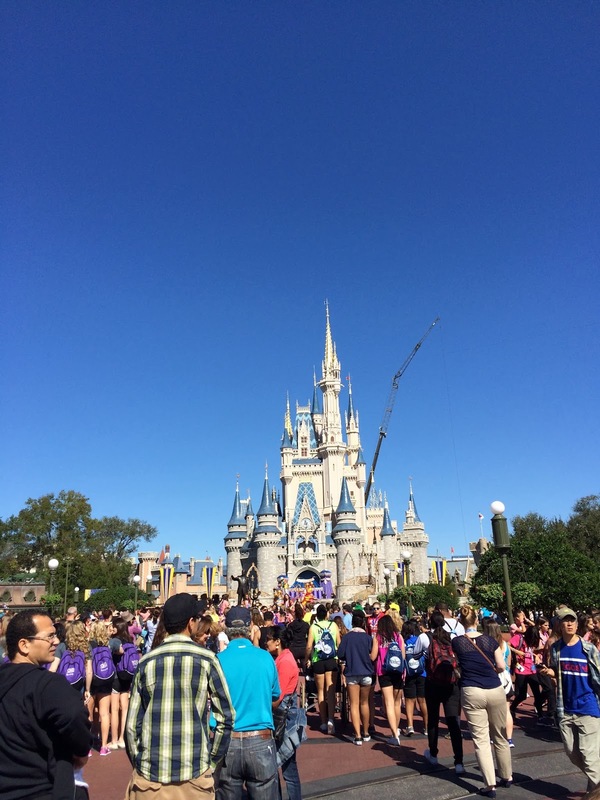 Looks like all my Magic Kingdom pictures might have a crane in the background this time around. 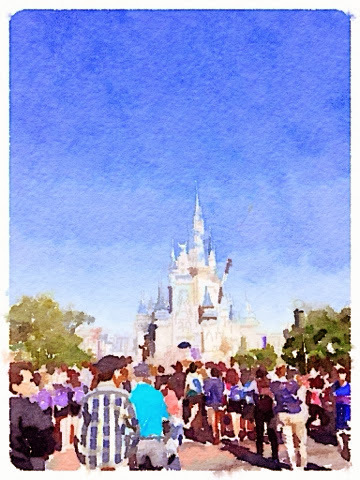 But if I applied a watercolor effect to all of them, you'd almost never know. Also, watercolors really help correct a lot of questionable wardrobe choices that are going on down here. But really. A CRANE? Things like that aren't supposed to be necessary here!